Our research interests follow three main themes. M. tuberculosis is recognized by several Pattern Recognition Receptors (PRRs), including TLRs and C-type lectins, allowing its detection by the innate immune system. However, the pathogen is able to undermine innate immune responses, including inflammatory response and autophagy, thus favoring its survival inside the infected host. Molecular bases of M. tuberculosis recognition by PRRs (TLR2-1/6, DC-SIGN, Mincle, Dectin-1, Dectin-2), identification and structural characterization of M. tuberculosis ligands (PAMPs). Molecular mechanisms used by Mtb to inhibit innate immune responses. Rational design of synthetic analogs of mycobacterial immunomodulatory molecules with the objective of developing adjuvants or anti-inflammatory agents: mode of action and therapeutic potency. Structure and function of mycobacterial cell envelope in vivo. Lipids are important antigens that induce T cell-mediated specific immune responses. They are presented to T cells by a class of MHC-I like proteins, namely CD1. 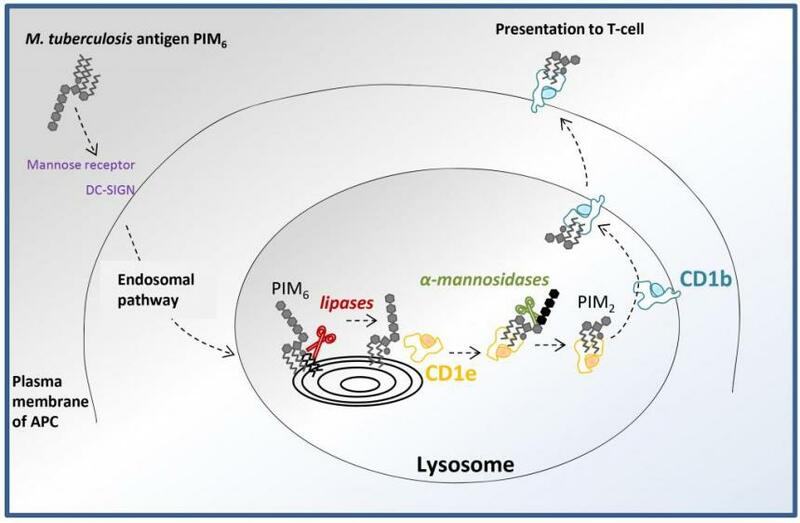 Despite the highly diverse and abundant lipid content in the mycobacterial cell envelope, only a few of these lipids have been shown to stimulate CD1-restricted T cells. We previously described that some mycobacterial glycolipid antigens must be processed, however the underlying molecular mechanisms remain poorly defined. Altogether, lipid antigen properties make them attractive for their use in subunit vaccines against Mtb. Characterization of the repertoire of mycobacterial lipid antigens involved in T cell responses. Functional and structural studies of CD1-lipid complexes, CD1 loading lipid mechanisms and investigation of specific recognition by the TCRs. Molecular mechanisms of lipid antigens processing: functional and structural studies of CD1e, definition of the repertoire of lipid-derived epitopes, characterization of lysosomal enzymatic activities involved in the generation of lipid epitopes. 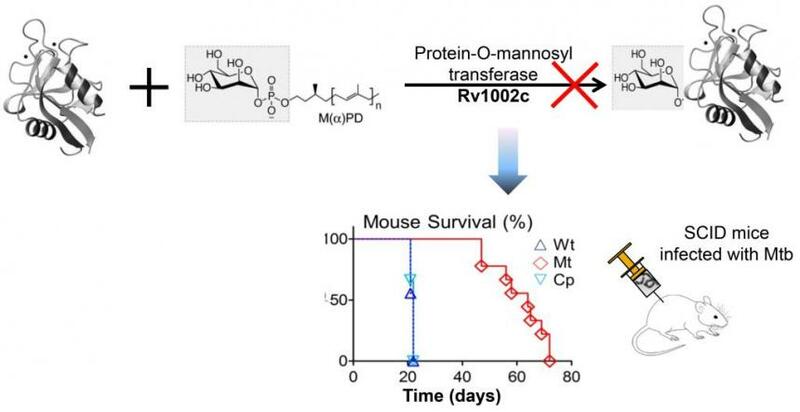 Evaluation of lipid neoantigen protective effect in animal models challenged with M. tuberculosis and proof-of-concept that CD1-restricted T cells can protect against mycobacterial infection.